New Era has created quite the expensive hat for Super Bowl 50. This hat is made of black lambskin leather and comes with an 18k gold pin. 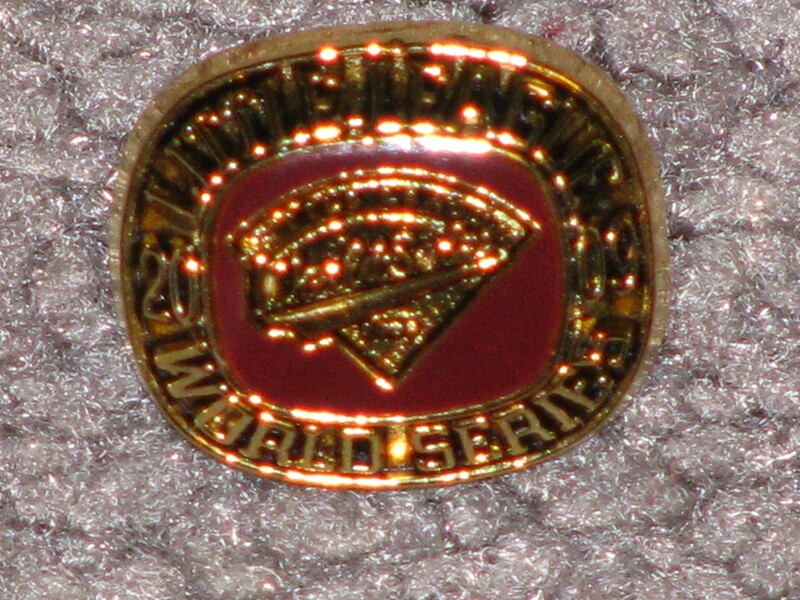 They only made 50 of them, and cost $2,500 per hat. 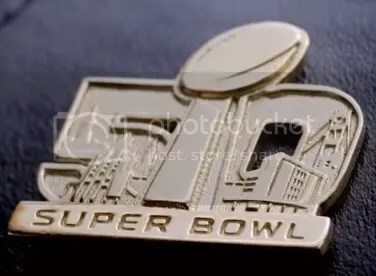 There are a lot of pins made for Super Bowl 50. 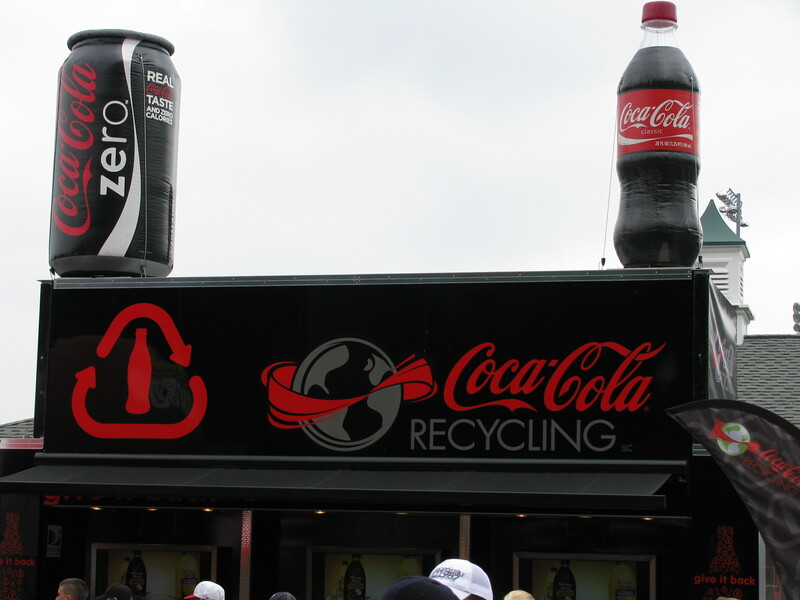 Many of them feature just the logo. 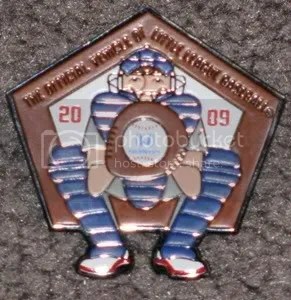 Someone could easily try and pass off a cheap widely produced pin for this one made of 18k gold. Especially if you’re not buying it in person. $2,500 for a hat is nuts. The brim is completely flat too. 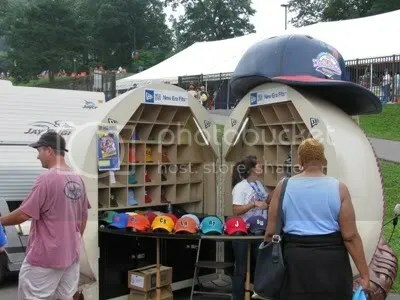 I hate hats with flat brims. Penn State wasn’t even expecting to be eligible for a bowl game last year. 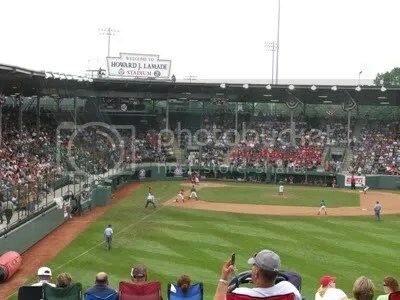 But with the lifting of the sanctions and their 6-6 record they became eligible for the 2014 New Era Pinstripe Bowl which took place in Yankee Stadium. They were able to sneak out a 31-30 win over Boston College. Placekicker Sam Ficken made the extra point that put Penn State over the top to win. 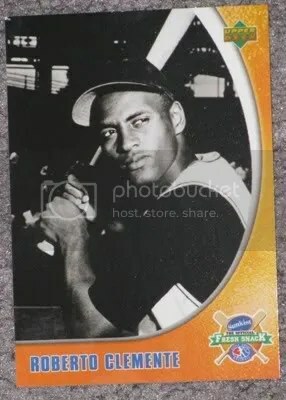 Ficken was using Derek Jeter’s old locker that day. I guess using Jeter’s locker brought him some luck. 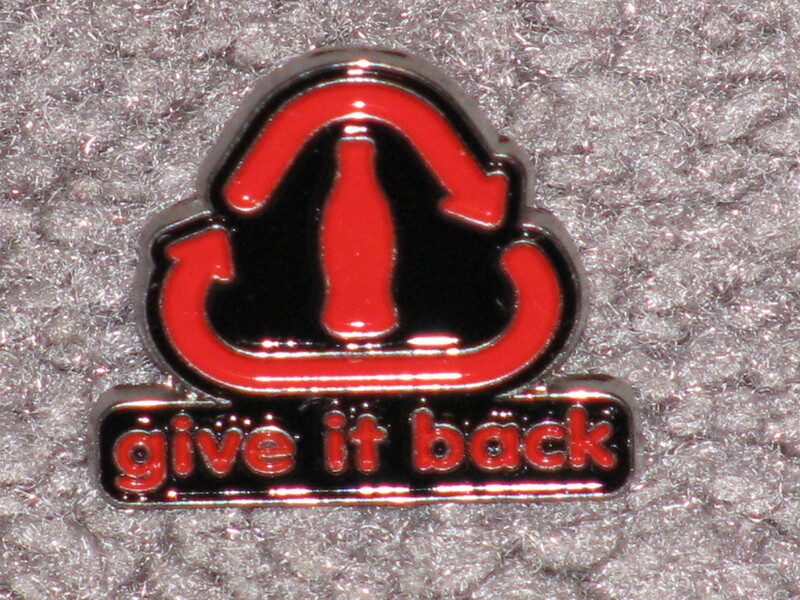 Pins from this game haven’t shown up all that much. Apparently most of them sold out at the game. They’ve been selling for $15.00 to 50.00. 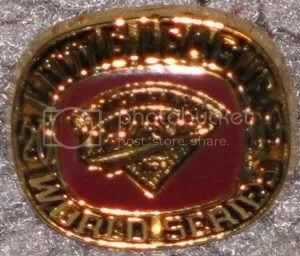 I got mine for $15.00. 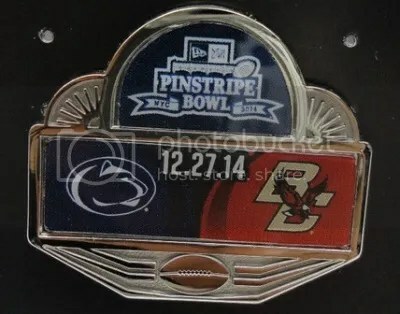 The New Era Pinstripe Bowl has been played at Yankee Stadium since 2010. 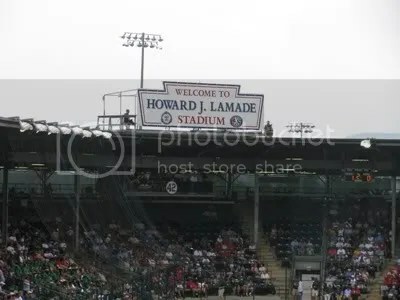 Watching a football game inside Yankee Stadium must be pretty different looking. 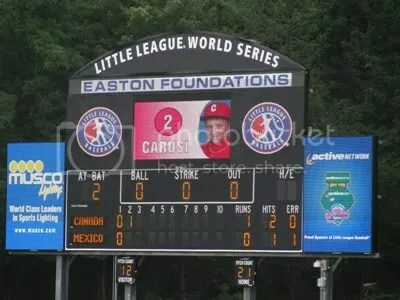 Its probably like watching the Winter Classic in Citizens Bank Park. 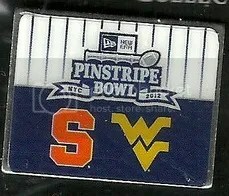 This year, Syracuse took on West Virginia and went on to win 38-14. The MVP was Price-Tyson Gulley. 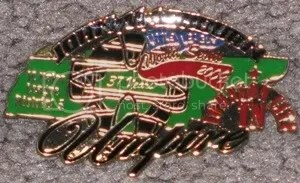 For being a simple looking pin, it apparently isn’t the easiest one to find. They continue to sell for $30.00. Monty Sheldon has been hard at work designing his famous “Artballs” and cigar boxes. 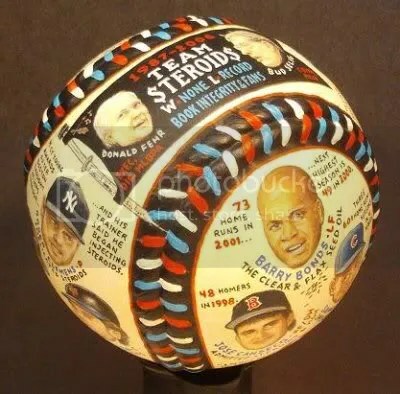 One of his newest “Artballs” commemorates probably the darkest time in baseball – the steroid era. 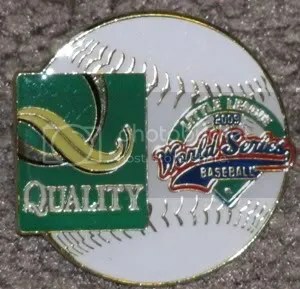 These baseballs are so colorful and detailed. They make an excellent addition to any collection. 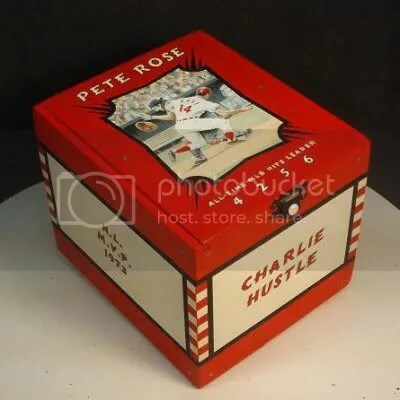 Check out this Pete Rose wooden cigar box he painted too. 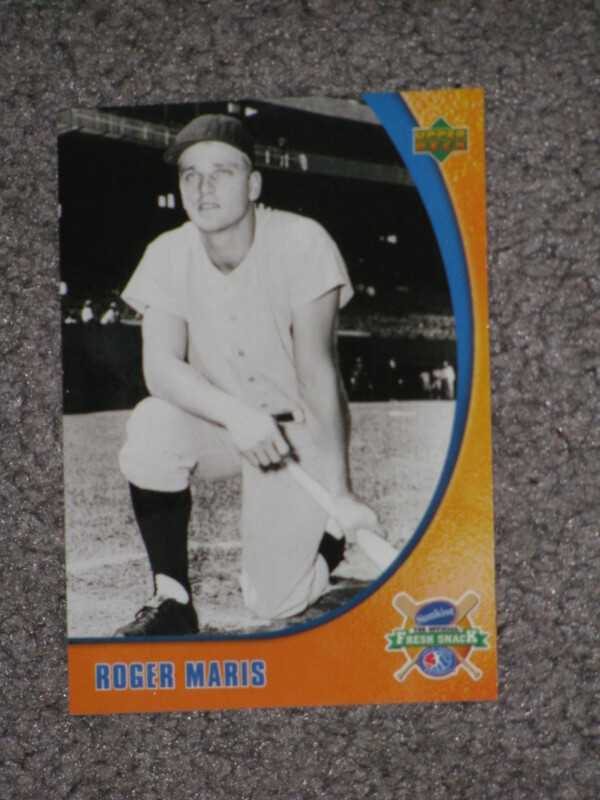 If you have a favorite card, something like this would make a great display piece. 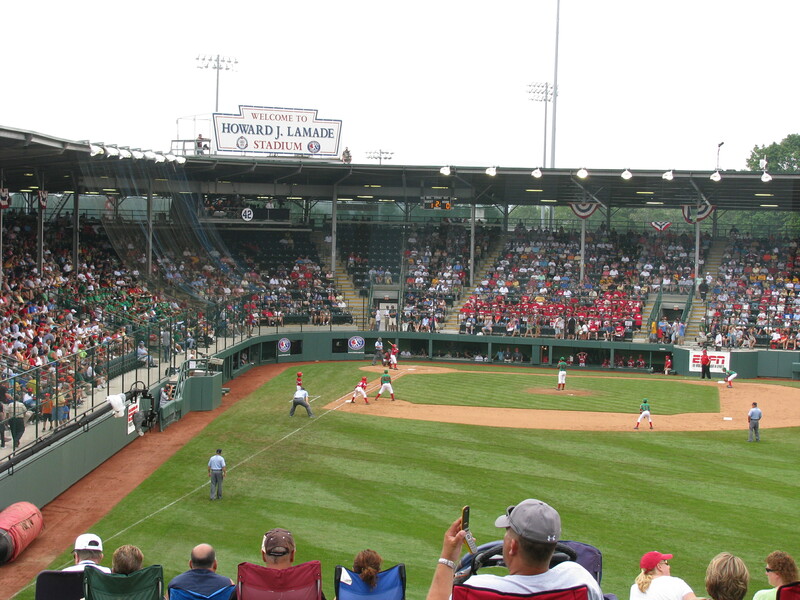 This morning I headed up to the Little League World Series in Williamsport. 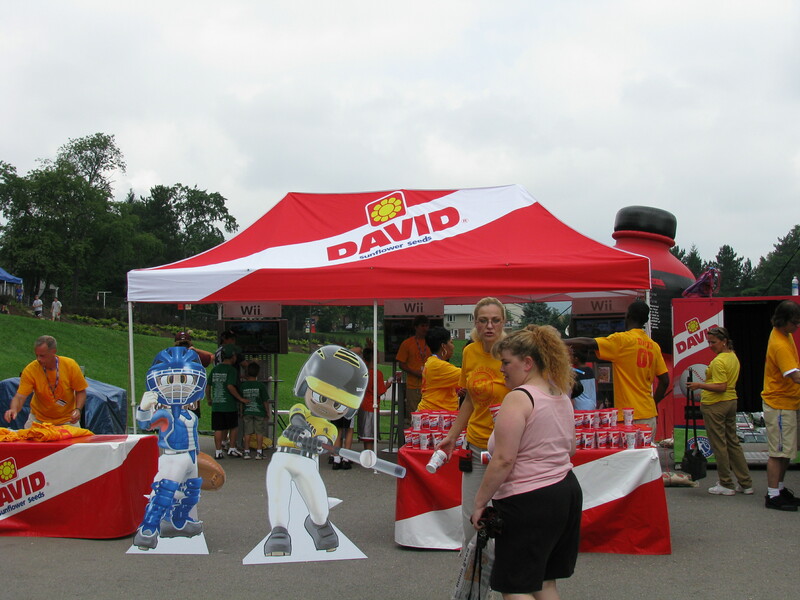 This year I had a lot more fun because I took part in many of the promotional campaigns some of the major sponsors were doing. 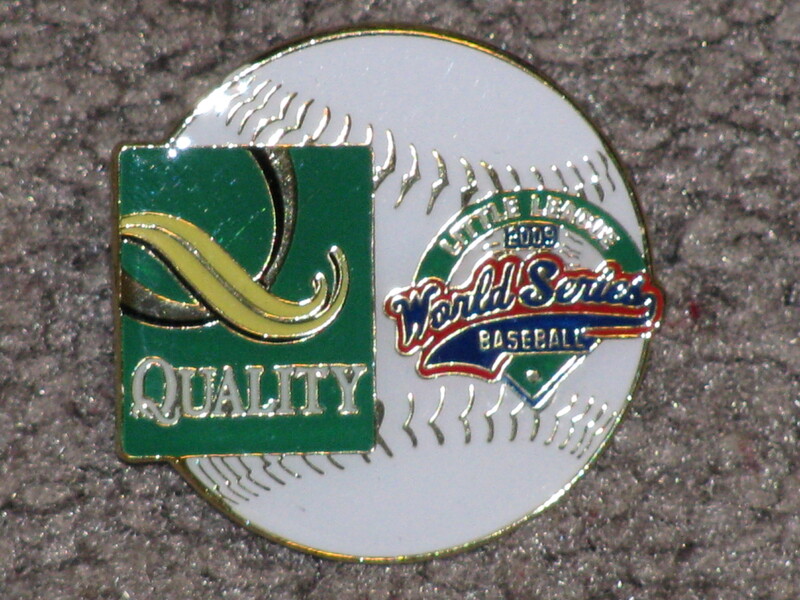 Aside from baseball and football cards, I also collect pins. 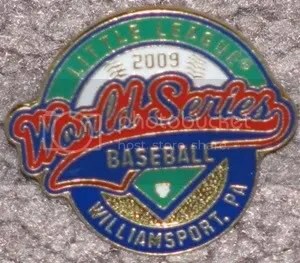 Pin trading is HUGE at the Little League World Series. Obtaining some of the pins from the sponsors reminded me of being at The National, because you need to do certain things to get a pin. 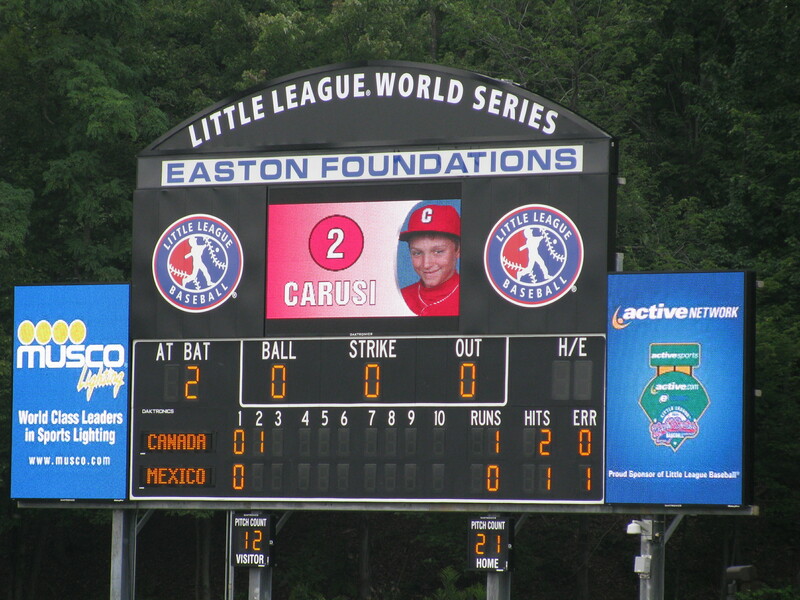 I had a really good time and if you’re a baseball fan you should go. 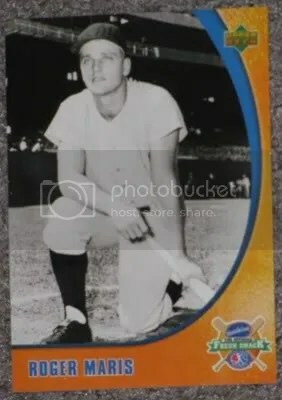 I even found a few baseball cards 🙂 When I was there, Mexico and Canada were playing. Click on each photo to enlarge. New Era’s booth is in the shape of a baseball. 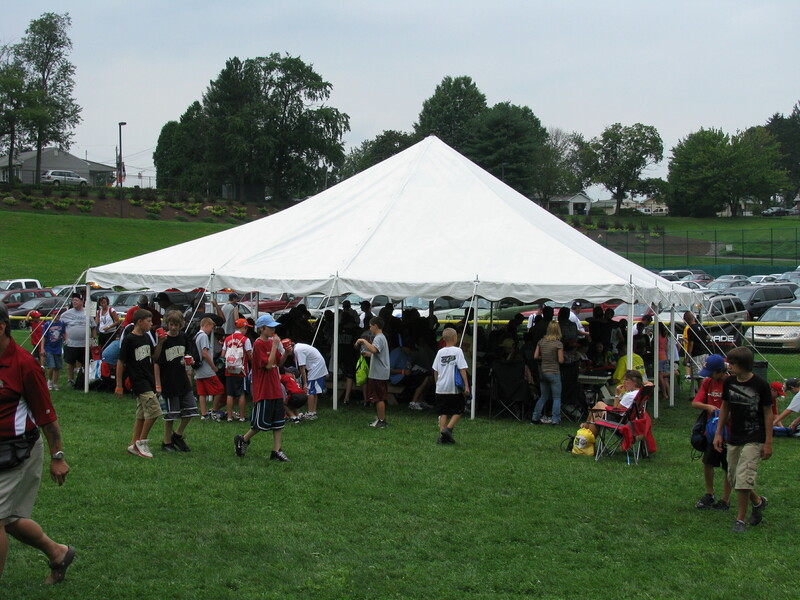 This was one of the pin trading tents. There were thousands of pins in here. 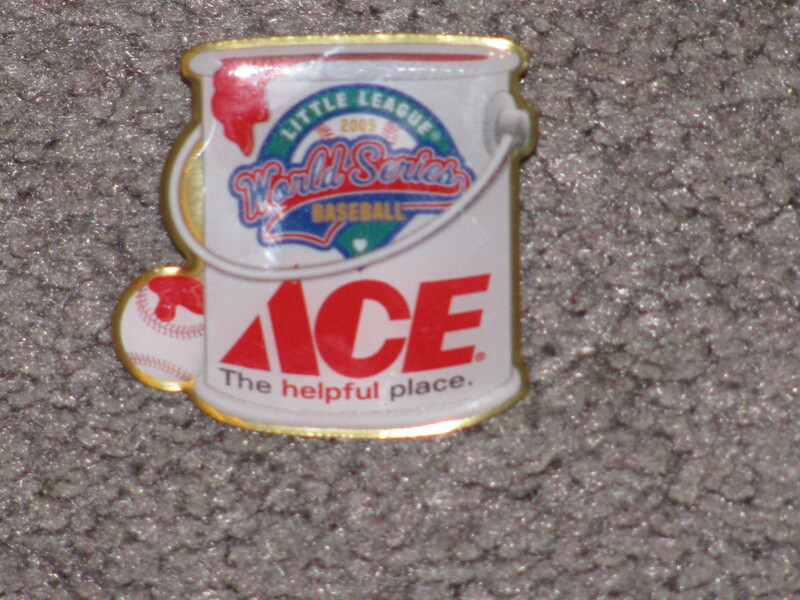 This ACE Hardware pin was a giveaway around lunchtime. 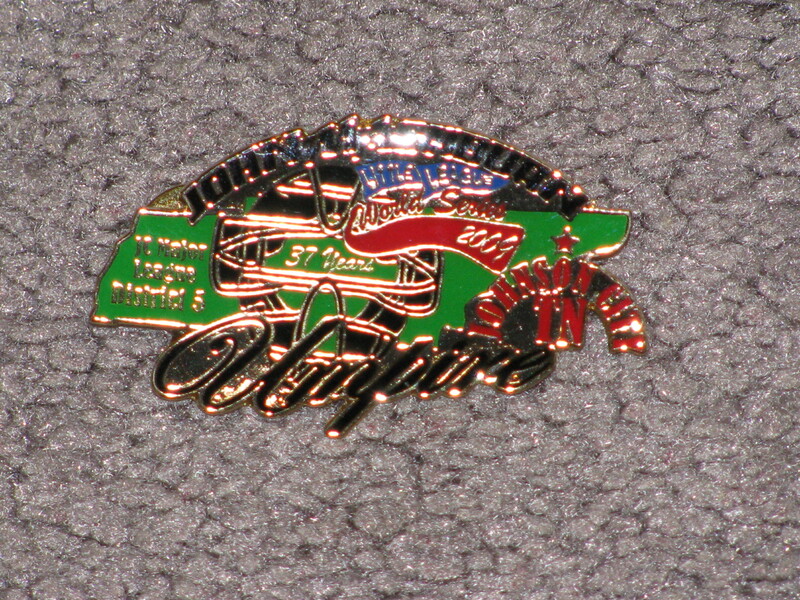 All I had to do was answer a few questions at the Honda booth and they handed me this pin. Quality Inn was just giving these away at their booth. 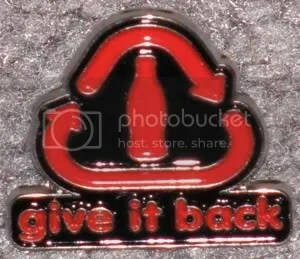 Coca-Cola gave me this pin because I recycled one of their soda bottles at their booth. 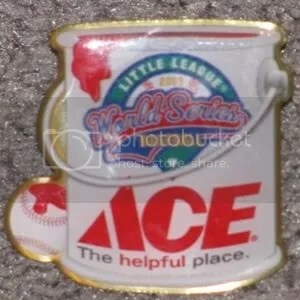 While I was getting lunch, a man came up to me and said he was an umpire for Little League and gave me this pin. 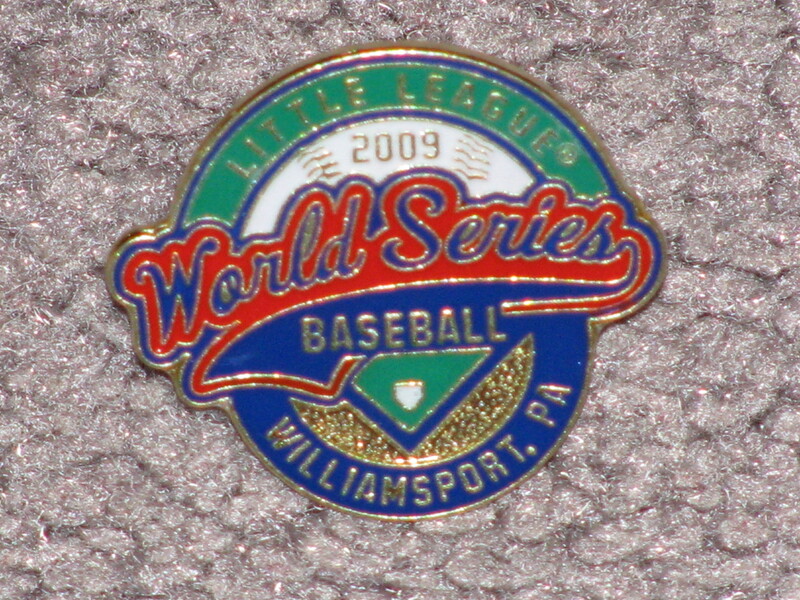 Its an umpire pin from Johnson City, TN. 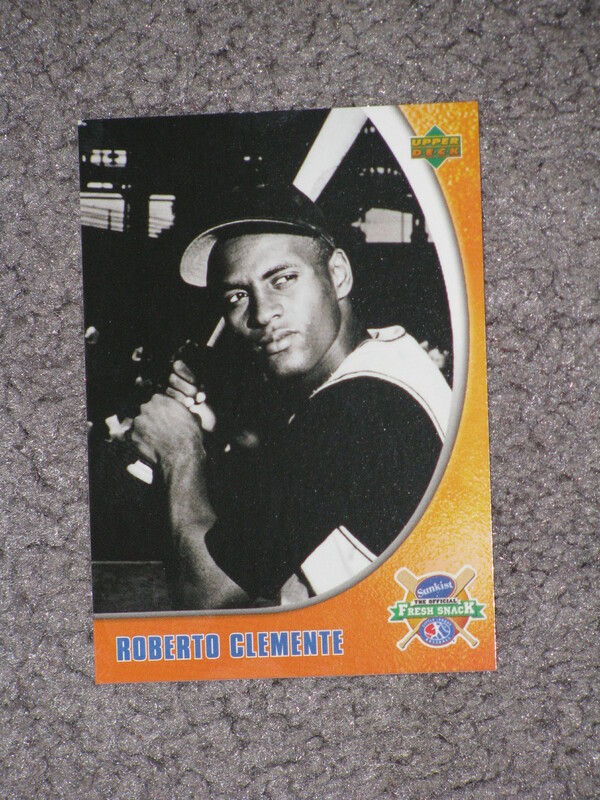 These cards were a giveaway from Sunkist. 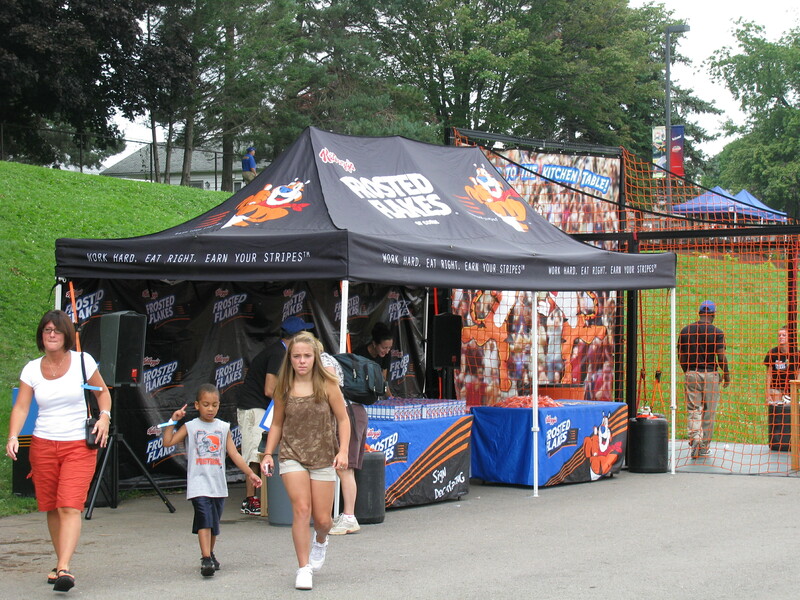 Upper Deck made them back in 2005 for the Little League World Series. Each came wrapped in a clear pack. 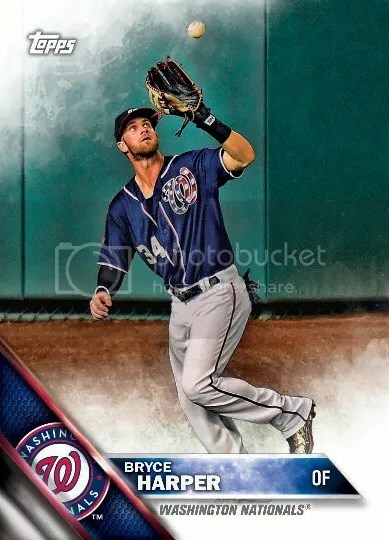 There are 5 cards to the set.